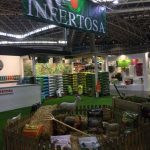 Very much in line with the current trends, INFERTOSA launches its new Ciemhus Universal Ecological Substrate, an ideal substrate for organic gardens and cultivation tables. 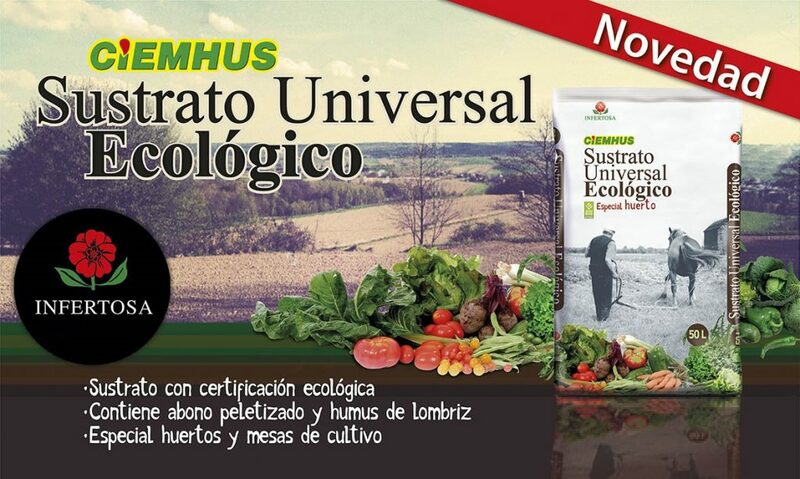 Its structure improves the circulation of air and water and its fertilizer in ecological pellets and the earthworm humus that it incorporates facilitate the correct development of any crop. 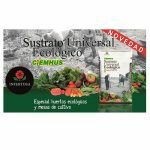 Available in 50L format, this substrate is part of the whole new range of ecological products of Infertosa. 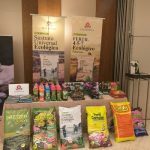 SUBSTRATE CERTIFIED BY INTERECO WITH CERTIFICATION NUMBER NFT-06 FOR USE IN ECOLOGICAL PRODUCTION.